Japanese giant Mitsubishi Corporation has revealed plans for establishing a new diesel import terminal at Port Bonython in South Australia, near Whyalla, which is expected to become operational by 2016. The terminal will be the foundation for Mitsubishi to launch a diesel fuel import, sales and distribution business in Australia which it expects to show robust growth on the back of increasing demand in energy, resource, transport and industrial sectors. 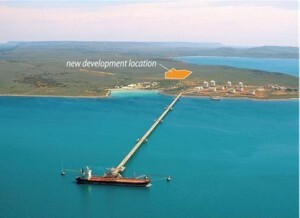 According to the article on Adelaide Now, Mitsubishi’s development plan entails the construction of three storage tanks storing up to 81,000 kilolitres of diesel, a pipe-rack above the jetty, pipelines, etc., and is expected to provide about half of the state’s total diesel demand with the bulk of it provided from Japan. In January 2013, Petro Diamond Australia Pty Ltd — Mitsubishi’s wholly owned subsidiary established in January 2012 as an Australian petroleum business entity — acquired Port Bonython Fuels Pty Ltd (PBF). 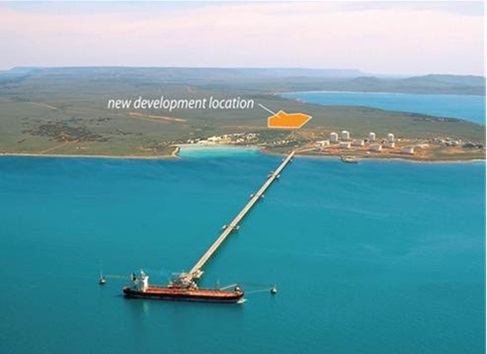 PBF subsequently invited Coogee Chemicals, a company with a vast experience and proven success in the business in Australia, to participate as a shareholder and operating partner of the new PBF terminal. “Through its involvement in the fuel supply, sales and distribution business, Mitsubishi will strengthen its petroleum trading functions and create greater synergies, while further expanding value chains throughout the business,” it says in the press release issued by the Mitsubishi Corporation. Mitsubishi has a proven track record of long-term strategic investments in Australia, its largest investment destination. The final design and construction phase of the terminal will commence this quarter, with the commencement of commercial operation targeted around the second quarter of 2016.